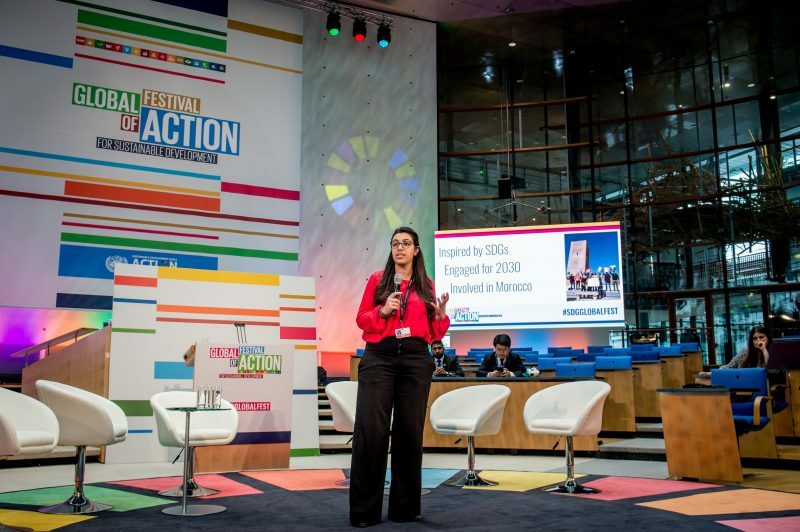 Taking action at the local level also means that people working for the SDGs – young and old alike – have to step out of their own “bubble,” because “…everyone here [at the Festival] are already passionate about the SDGs. We need to make sure we have impact on the people outside. We need to make sure we are using interesting ways to approach these people,” said Alex Wang, Director of Youthink Center China. “None of us are going to change the world individually, but as long as each of us starts a spark somewhere in the world, we can change the world together,” he concluded. Catch up on the full conversation if you haven’t already! Amy is the Digital Communications Manager at Sustainia, a sustainability advisory group and digital studio based in Copenhagen. She juggles multiple tasks, from running social media campaigns to developing partnerships and community engagement (while making sure there are chocolates at the office). 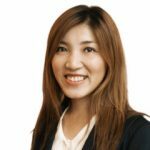 Before she moved to Scandinavia, she had worked as a journalist in Hong Kong, covering environmental, health and sustainability issues for more than three years. Amy holds a Master in Social Anthropology from the University of Oxford, and furthered her studies in Sustainable Development at Uppsala University prior to joining Sustainia. Next Next post: Thank you for making the Festival possible! Milla Ovaska is the Head of International Affairs in Espoo, the second biggest city of Finland and committed to make the ambitious sustainability agenda of the city known internationally. She’s in Bonn to get inspired by SDG actions around the world and is especially happy to share ideas with other cities and local governments. Committed to contributing to systemic change, Santu Boëthius co-founded Impact Hub Geneva and Lausanne, where she is the Strategic Lead developing new approaches connecting the private sector, the international community and entrepreneurs for sustainable impact. She is the strategic lead of Accelerate2030, a global program supporting entrepreneurs working towards the Sustainable Development Goals. She holds a MSc in Human Rights from the London School of Economics and MA in International Relations from the University of St. Andrews, and has worked with development and social innovation in various contexts and countries ranging from Senegal to Mongolia. Since joining Global Citizen in 2015 Carolin has headed advocacy and campaigns in Europe and led on the development and execution of the first Global Citizen Festival on the European continent which took place in Hamburg ahead of the G20 Summit 2017. As Country Manager Carolin now oversees Global Citizen’s work in Germany. Before joining Global Citizen, Carolin worked in the global campaigns team at Save the Children International and on the 2012 US elections. In 2013 she spent several months in Tanzania working on solar energy projects in rural areas. Carolin holds a BA in International Law and Politics from London Metropolitan University and an MPhil in International Relations from the University of Cambridge. A problem solver and trouble maker. Cacau is a network connector, facilitator and creative strategist at Alana, a non-profit organization that seeks to find a transforming pathway for new generations, working towards a more sustainable world, with excellent human relations. Her main focus today is to articulate Believe.Earth, a movement that invites society to dream of a desirable future and build new narratives for the world we want to live in. Dina is a Mexican social entrepreneur who seeks to transform education in the entire world. With the mission of forming better citizens from childhood, she founded Education for Sharing (E4S) in 2007. E4S uses the transformative power of play to generate awareness about the SDGs and to encourage the practice of civic values among children, teachers and parents. To date, E4S has benefited 900,000 people and is operating in 7 countries with 110 full time staff in her team. Dina is an Ashoka Fellow, a Vital Voices Lead Fellow and a World Economic Forum Global Shaper. Dina holds a BA in International Relations by the Instituto Tecnológico Autónomo de México (ITAM), a Masters Degree in Public Administration by Harvard University, and a Hubert Humphrey Fellowship in Urban Planning by the Massachusetts Institute of Technology (MIT). Andres Bedoya is an innovation project manager at the famous d.school Paris. He works with communities, public servants and companies to facilitate innovation through a human – centered design approach. Andres is speaking at the Global Festival of Action together with Chris Lunch – together they make an unlikely alliance which has been key to unlocking extremely innovative and effective approaches which can be applied to any complex stakeholder environment. Chris Lunch studied Anthropology at Oxford University then set up the social enterprise InsightShare. As world experts in Participatory Video for community advocacy and mobilisation, the social enterprise uses video as a powerful tool to bring together marginalized individuals and groups and enable them to document their knowledge, ideas and innovations; building consensus, promoting locally-led change and enabling open, equitable dialogue with different stakeholder groups and policy-makers. Chris is speaking at the Global Festival of Action together with Andres Bedoya – together they make an unlikely alliance which has been key to unlocking extremely innovative and effective approaches which can be applied to any complex stakeholder environment. Kishore G. is a 19-year-old budding leader who believes in doing what you love. Being a motivational speaker, community mobilizer and a social worker, he is a passionate young guy determined to bring a positive change in the society. At the Global Festival of Action, he will share his experience with transforming from a person who had no concern about the world to a person who worked on more than 3 SDGs in one year. Leonardo Maldonado is a serial and social entrepreneur for 25 years and has dedicated his professional life to promoting innovation and entrepreneurship. He has participated in building five companies, a foundation and one social movement. Leonardo is currently the CEO of Gulliver a private innovation agency and the Executive Director of Sistema B Chile. Karen Hallows is an International Coordinator for Peace Boat. With a background in education, she has been working on peace and sustainability education programmes and advocacy onboard Peace Boat, sailing on more than ten Global Voyages. She is currently working on Peace Boat’s Ecoship and Peace Boat’s SDGs campaigns. Denise is a social entrepreneur. In 2015 she launched Novos Urbanos (New Urbans), a cross-sectoral dialogue platform to foster social innovation. She has coordinated social and human development projects in India, United States and Portugal. Denise was born in Rio de Janeiro, and grew up between Ganeshpuri and South Fallsburg and now lives with her husband in São Paulo. Dr Waheed Arian’s remarkable life story has inspired millions of people across the world through TV, radio, newspapers and magazines. Now, emergency medicine doctor in the UK, Dr Arian spent his childhood in war-torn Afghanistan during the Soviet conflict facing life-threatening illnesses in a refugee camp. Arriving in the UK aged 15 without education, Dr Arian went on to study medicine at Cambridge, Imperial and Harvard universities, acquiring numerous qualifications and awards, including, the UN-backed Global Hope Hero (2017).